"I have been going to Dr. Alonso for some time...hands down the best doctor." "Dr. Alonso is a great doctor. He is quick to take action and very personable." "We were so very fortunate to find Dr. Alonso. We would heartily recommend him." "Dr. Alonso, Joy, and the entire staff made me feel very confident." "Wow! What an amazing doctor he is!" "Dr. Alonso is simply the best. I give him the highest recommendation!" "Great listener, knowledgeable, polite, caring." Providing compassionate care in a friendly setting, Dr. David Alonso and the practitioners at Amour Medical Aesthetics, Inc specializes in advanced aesthetic treatments to revitalize and rejuvenate the appearance of their patients. 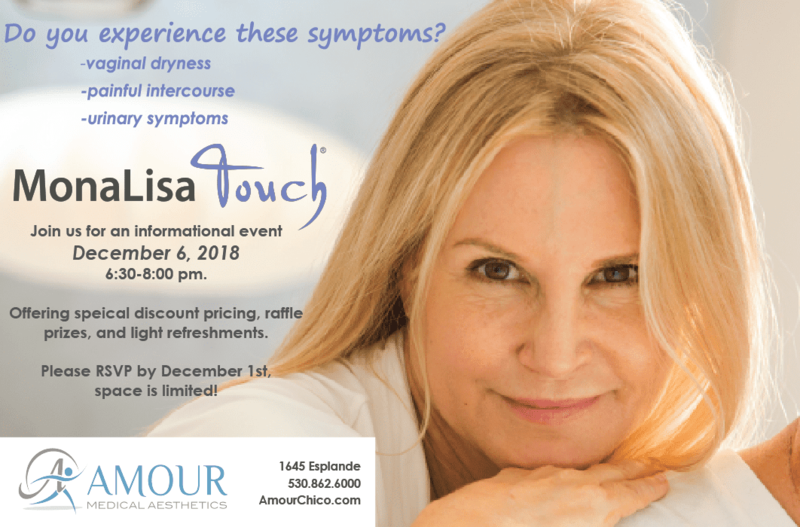 Amour Medical Aesthetics, Inc is the top choice for aesthetic services for men and women in the Chico, California area. Patients commend the team’s willingness to go above and beyond to make sure that they’re getting the care they deserve. The practice’s many services include facial and vaginal rejuvenation treatments, noninvasive fat reduction techniques using safe and effective lasers, and treatments utilizing state-of-the-art technologies to eliminate unwanted blemishes like stretch marks, scars, and sun damage. Amour Medical Aesthetics, Inc also offers innovative therapies for reversing the signs of aging and for permanent hair removal. 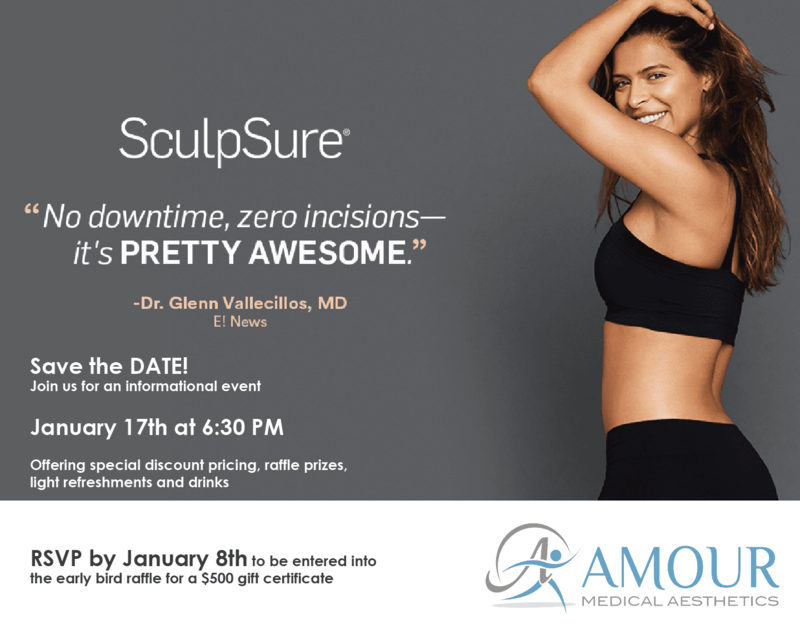 The practitioners at Amour Medical Aesthetics, Inc welcome the opportunity to help you achieve your aesthetic goals. To learn more about the services available or to schedule a consultation, call or book an appointment online today. Is your facial skin losing its smoothness and youthful volume? Do you want to decrease the appearance of fine lines, wrinkles, and sagging? Injectable dermal fillers are a convenient and effective addition to your anti-aging regimen. There are exercises that help tone most areas of your body, but even if you’ve attained a healthy weight, you can’t really spot-target a stubborn double chin. 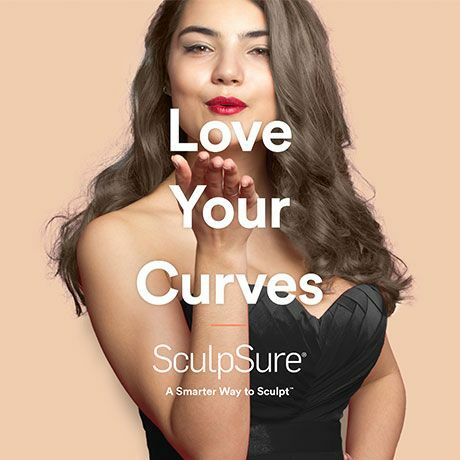 Read more to learn how SculpSure® offers an effective, nonsurgical solution. Stretch marks can be disconcerting and you just wish they could go away. With the right steps, this unsightly scarring can be eliminated over time, and in some cases prevented from occurring in the first place. "I can't say enough how happy I am to have found him. If you aren't getting satisfaction from your doctor...find someone great like Dr. Alonso." "Wow! What an outstanding experience! Dr. Alonso actually listens to his patient's and his bedside manner are outstanding." "Dr. Alonso has been my son and husband's doctor for years. I have known and have liked their office manager for nineteen years." "Listens to patient's and his bedside manner is excellent. He truly is a professional who goes beyond to help his patient's. I highly recommend Dr. Alonzo!" "Dr. Alonso is focused on his patients while they are explaining their problem. His questions are pertinent and he genuinely cares about his patients." "Dr. Alonso is the very best when it comes to doctors. I whole heartily recommend him to anyone who needs a caring and thoroughly compassionate doctor."